Ok seriously, how is it already past the halfway point in May?? I can hardly believe that June is just around the corner and that it’s already time for the next edition of Secret Recipe Club! This month I was assigned Little Bit of Everything, which is written by Julie. 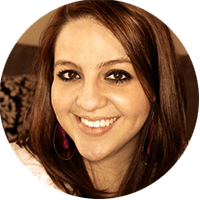 I had so much fun looking around her recipes, and once it gets colder again, I can’t wait to try out her White Chili. Also, I’m pretty sure that TJ would go nuts for her Snickerdoodle Bars, so those will be happening in my kitchen sooner or later. For the SRC reveal this month, I decided to make her Taco Bake, because really, you can never go wrong with Mexican food. 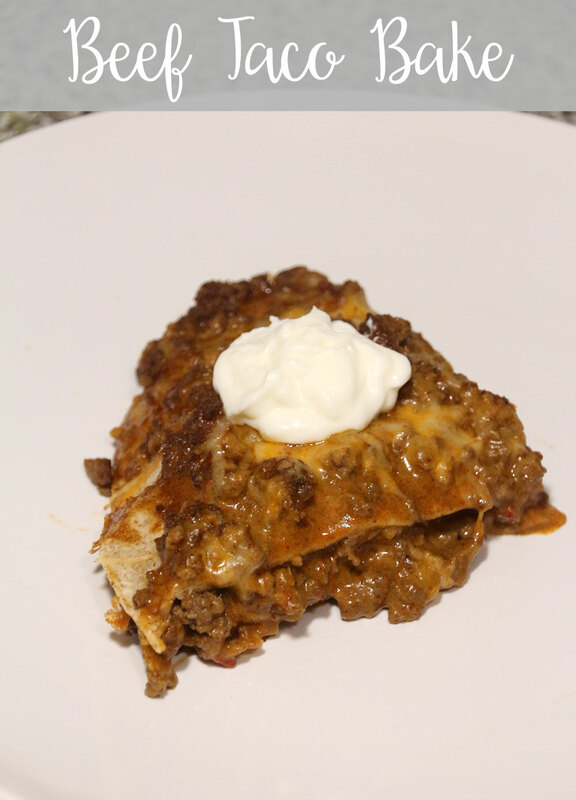 This was a super easy dish to make, and I think we’ll be making this on busy nights in the future, especially since we almost always have most of the ingredients already on hand. If you love Mexican food even half as much as I do, you’ve got to make this soon! Brown the beef in a large skillet and drain the grease. 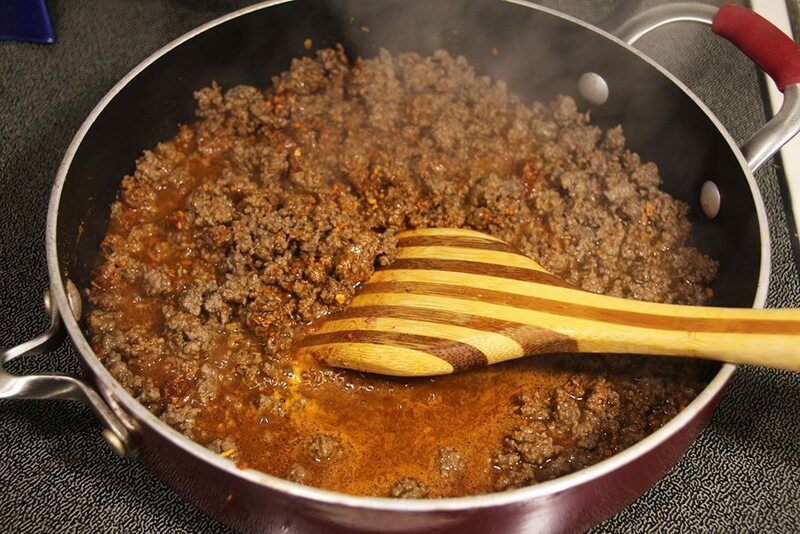 Mix in the taco seasoning and water, bring to a boil, then simmer for about 5 minutes. 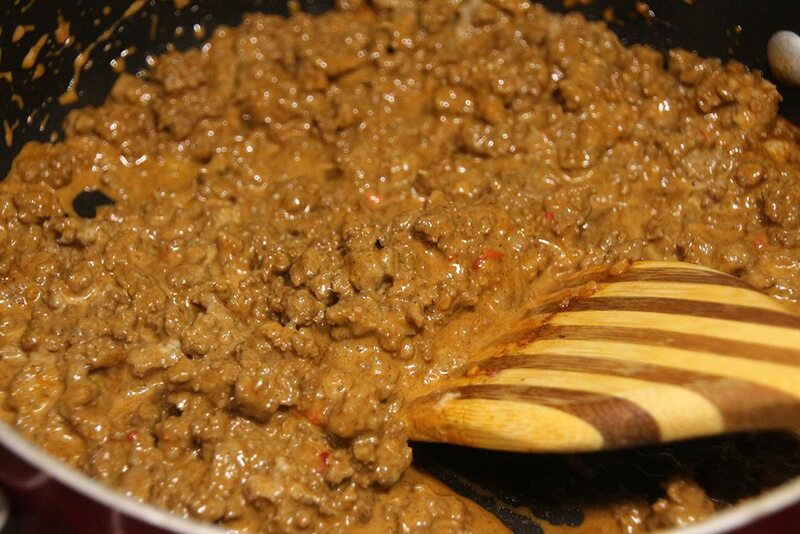 Remove the beef from heat and stir in the queso blanco. 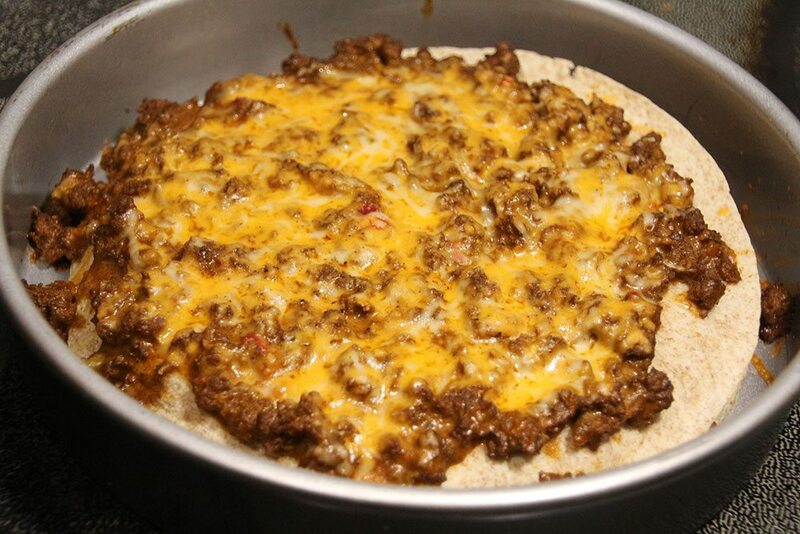 Spray a round baking pan with cooking spray and place a tortilla in the pan. 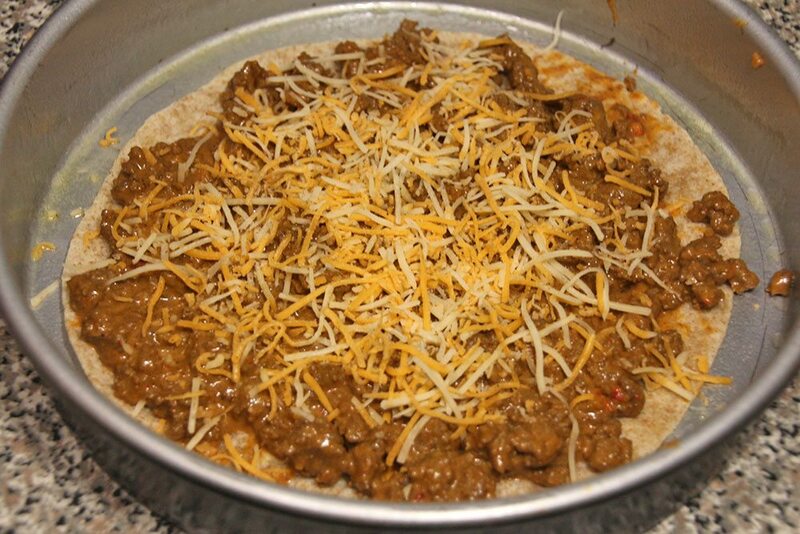 Spoon 1/3 of the meat mixture onto the tortilla and spread evenly. 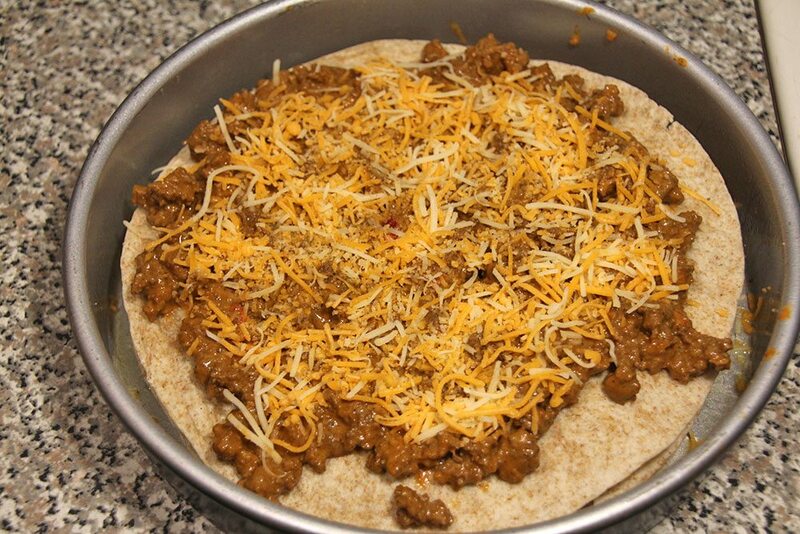 Top with 1/3 of the cheese. Continue until you are done with the layers. Bake at 350 for 15 minutes or until the cheese is completely melted. 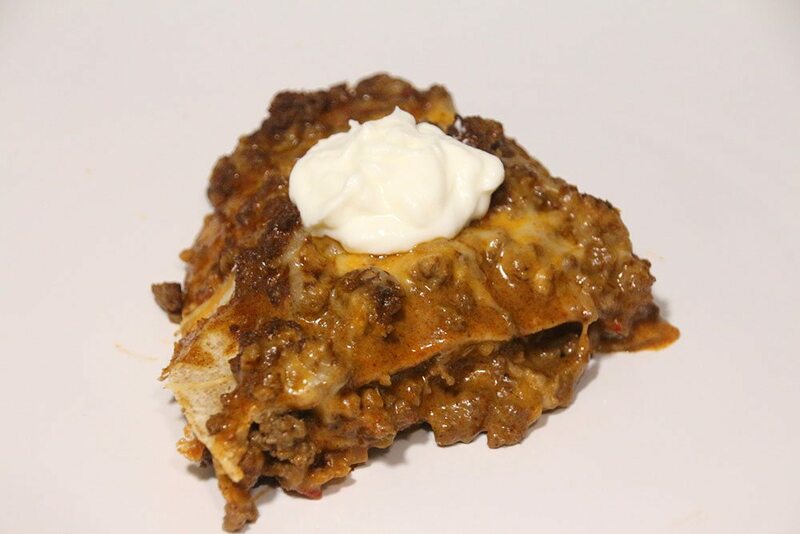 Slice, top with sour cream if desired, and enjoy! you can’t go wrong with mexican food, huh?!? this look amazing. Any form of tacos is something I want to make! Yum! This dish makes my mouthwater! Happy to bake with you in Group C, see you next month! That looks good. 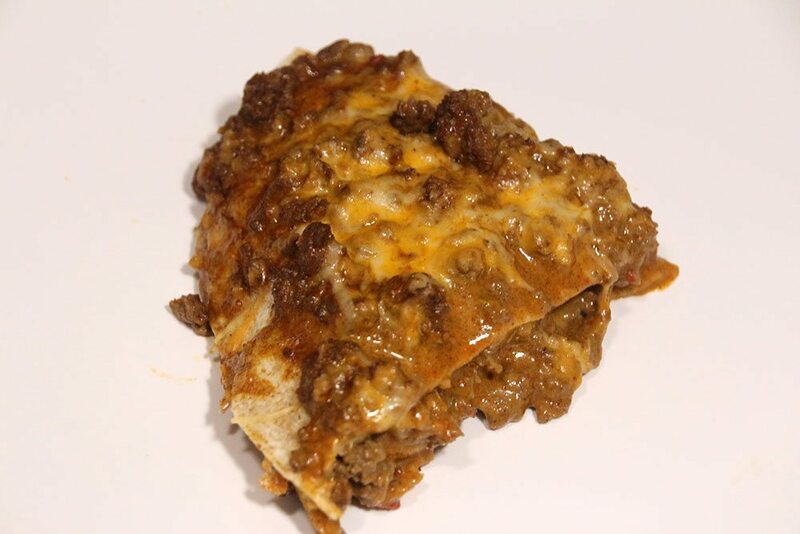 Sort of a Mexican Lasagna. YUM. this looks really good. Visiting from group C.